How did women fare on the TIME 100 list of influential people? For anyone who’s interested in the world of powerful women, the unveiling of TIME‘s list of the 100 Most Influential People is an exciting day. The 2015 list hit this Thursday and includes 40 women–a good showing, though one less than last year’s record-level female representation. Among the women on Fortune‘s Most Powerful Women or Greatest Leaders lists who made this year’s TIME 100: YouTube CEO Susan Wojcicki, ICIC Bank CEO Chanda Kochhar, and pop star Taylor Swift. The TIME 100 isn’t technically a ranking, though the choice of cover subjects certainly gives you an indication of who the editors at Fortune‘s sister publication believe really rate. This year’s cover subjects include two women: Supreme Court Justice Ruth Bader Ginsburg and dancer Misty Copeland, along with musician Kanye West, anchor Jorge Ramos and actor Bradley Cooper. 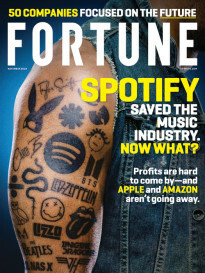 Last year’s main cover went to Beyonce Knowles-Carter, while GM CEO Mary Barra was one of three luminaries on inside covers. 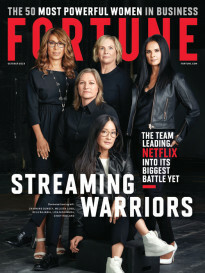 Barra ranks No.2 on Fortune‘s Most Powerful Women list, prompting me to scrutinize how TIME’s 2015 picks compare with the female leaders we single out at Fortune. Well, Barra did not make this year’s TIME 100. That’s not terribly surprising. The GM boss has spent the past year embroiled in all those lawsuits related to faulty ignition switches—the unending nightmare for her, GM’s employees and its shareholders. Besides, the TIME 100 stars rarerly repeat—though this year, President Obama is on the list for the 10th time. This is the most of any of TIME’S honorees. Hillary Clinton, meanwhile, is making her eighth appearance on the list. This year’s TIME list is light on women in the upper ranks of business, though there is some overlap with Fortune’s MPW list. YouTube’s Susan Wojcicki , No. 19 on MWP, makes an appearance, as does ICIC Bank CEO Chanda Kochhar, who is No.2 on the MPW Asia-Pac list. Theranos founder Elizabeth Holmes, though not ranked on MPW, did grace Fortune‘s cover last year. There’s also some interesting overlap with Fortune‘s World’s Greatest Leaders list. We put pop supernova Taylor Swift at No. 6, with Joanne Liu, president of Médecins Sans Frontières, right behind her at No. 7. Both are on the TIME list. Though TIME choose not to put many prominent female tech execs on the list (you won’t find Facebook’s Sheryl Sandberg or Yahoo’s Marissa Mayer), the magazine does make an effort to showcase women in STEM–science, technology, engineering and mathematics. The package includes a story profiling five female leaders in science and medicine who made the 100. Also notable, the inclusion of Anita Sarkeesian, who’s described as “gaming’s feminist advocate.” Sarkeesian is best known for attempting to crowdfund a web series about female stereotypes in video games, a seemingly harmless move that unleashed a wave of vicious online harassment.